For a limited time when you purchase a pack of guitar picks you'll get a free sample pick! 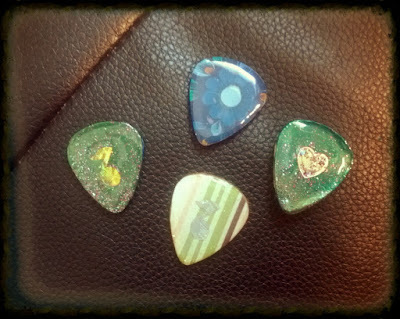 Each pick is unique and displays what the guitar pick pendants look like in real life. They can also be used as guitar picks! Click here to check out my six pack of guitar picks with bonus picks! Remember, these are prototypes and feedback on them is most helpful!